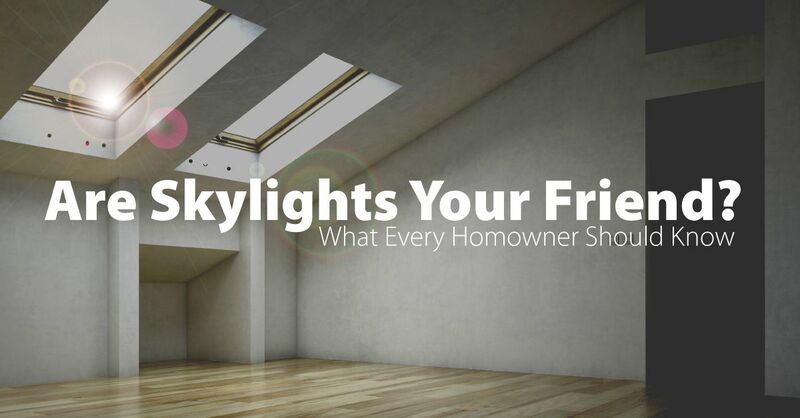 Skylights add extra light to your rooms and increase the value of your home. A skylight can make a smaller, dark room lighter or bring natural light into a large room. A skylight is a window inserted into a space cut out of the roof. It can be flat and flush with the roof or extend out in a more rounded shape. Special flashing material seals the skylight on the roof to prevent water leaks. Skylight installation is a job for roofing professionals. Skylights can be installed on any type of roof angle. Several skylights can be professionally installed on a single roof, based on the design of the home. Since a skylight adds to the daylight of a room, you use less electricity. This is one reason why skylights are so popular in kitchens and other work areas. Skylights with an Energy Star rating may qualify for tax credits. California also has programs for qualified energy saving window installations under Title 24. Skylights make the best use of passive solar energy. Sunlight is an unlimited resource. People concerned about UV rays can have tinted skylights. Some skylights are designed to open for passive air-conditioning and ventilation. The window must be properly installed so that it closes securely during cold and wet weather. A skylight will provide a window for a bathroom or bedroom where privacy is desired. Many homes built close together use skylights for windows in these rooms. Bathrooms are often interior rooms without windows and the skylight provides natural daylight. Sun tunnel skylights can be used in bathrooms and smaller rooms that are not immediately under the roof. These tubular fixtures extend from the room’s ceiling to the roof. Straight Line Construction can help you with skylight installation. We serve the Greater Sacramento area with all roofing, window and siding needs. Our experienced roof installers will include skylights in roof replacements or place a skylight window in an existing roof. Contact us about skylights in your Sacramento area home. Our consultants will explain the various types of skylights that can fit on your roof.